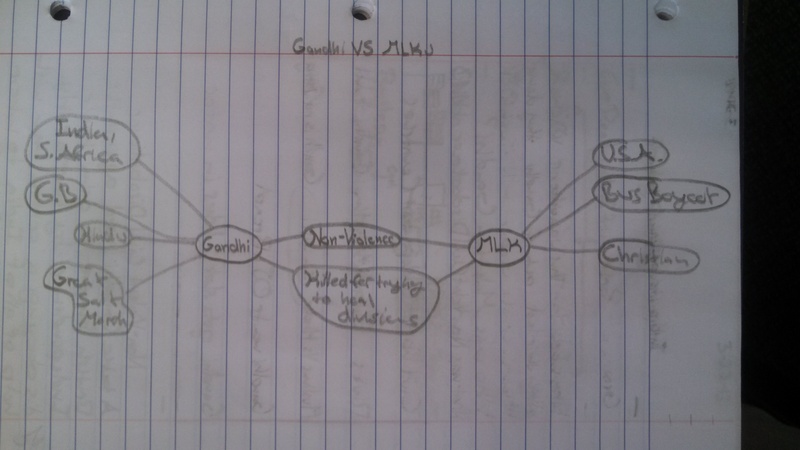 Indian Independence and the non-violent resistance movement demonstrated by Mahatma Gandhi was a unit of study for us this school year. 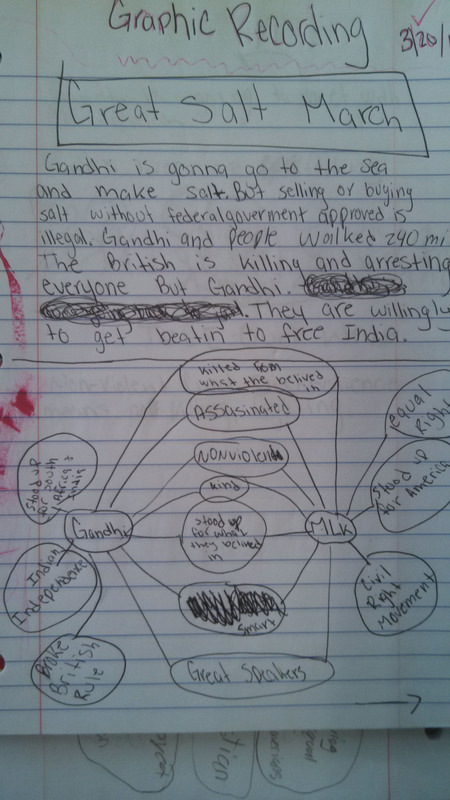 Below is a screen capture compare & contrast assignment students were charged with. 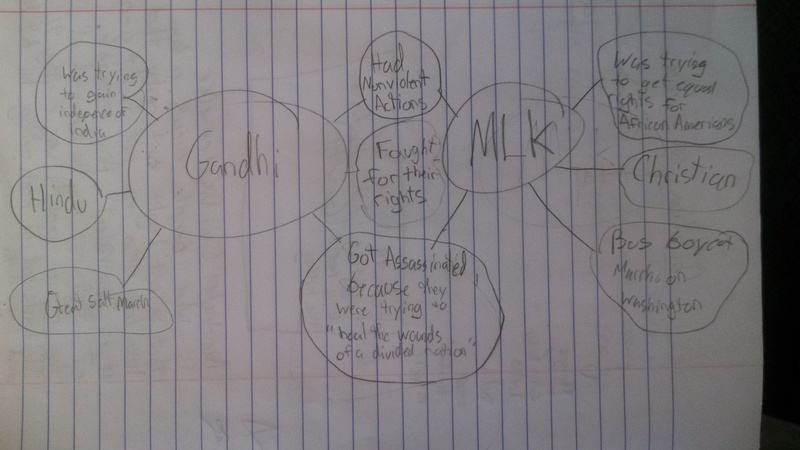 Students compare and contrast Gandhi & MLK while listening to an audio excerpt from MLK when he made a visit to India and discussed Gandhi’s influence on him. 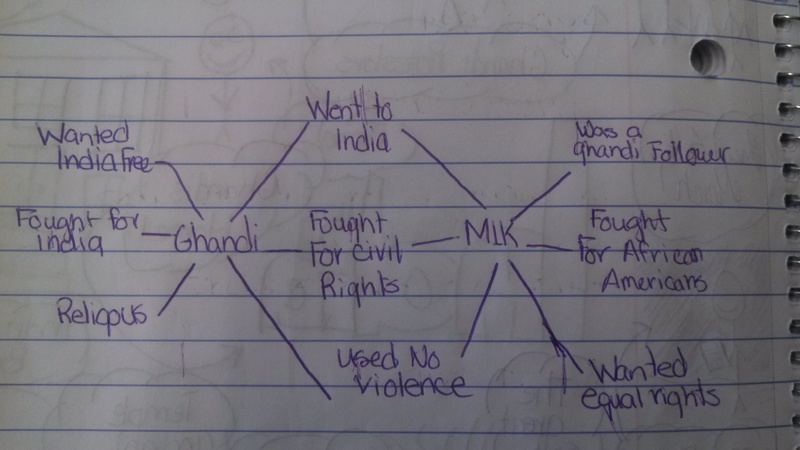 Students’ use this, in addition to newly aquired knowledge about Gandhi (from main event), and their prior knowledge of MLK as a historical humanitarian figure. Click on the image to view the entire lesson, or click here.